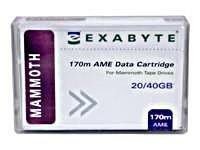 Sony - TAITE-20N SONY - 20/40GB 8MM 98 METER AIT-ETURBO DATA CARTRIDGE-NO MIC (TAITE-20N). NEW. IN STOCK. MINIMUM ORDER 10 PCS. SHIP SAME DAY. Sony - SDX1-CL SONY - 8MM AIT-1 2 3 CLEAN CART 36 CLEANINGS(SDX1-CL). NEW. IN STOCK . MINIMUM ORDER 6 PCS. SHIP SAME DAY. 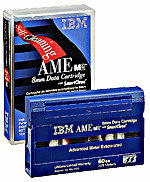 IBM - 23R5635 IBM - 8MM DAT 160 80GB / 160 GB DATA CARTRIDGE (23R5635). NEW. IN STOCK. SHIP SAME DAY. 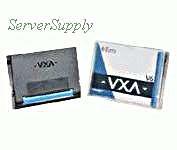 Sony - SDX5-400C SONY - AIT-5 8MM 400/1040GB DATA CARTRIDGE (SDX5-400C). NEW. MINIMUM ORDER 10 PCS. IN STOCK. SHIP SAME DAY. Sony - SDX4200CWW SONY - 8MM AIT4 200/520GB 246 METER TAPE CARTRIDGE (SDX4200CWW). NEW. MINIMUM ORDER 6 PCS. IN STOCK. SHIP SAME DAY.